In 2018, The Royal Mint released its first ever 2 ounce bullion coin. The background for this range comes from the coronation of Her Majesty The Queen, where ten heraldic beasts stood guard, The Queen's Beasts, sculpted by James Woodford RA for the coronation ceremony. 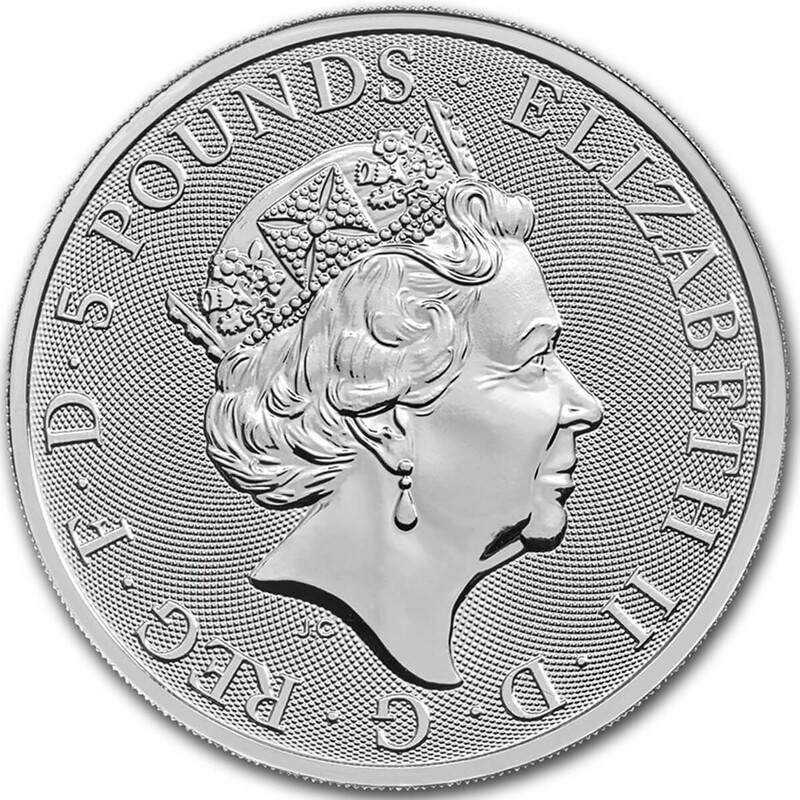 The Obverse of the coin depicts the effigy of Her Majesty Queen Elizabeth II, as well as the coins 5 pound face value. 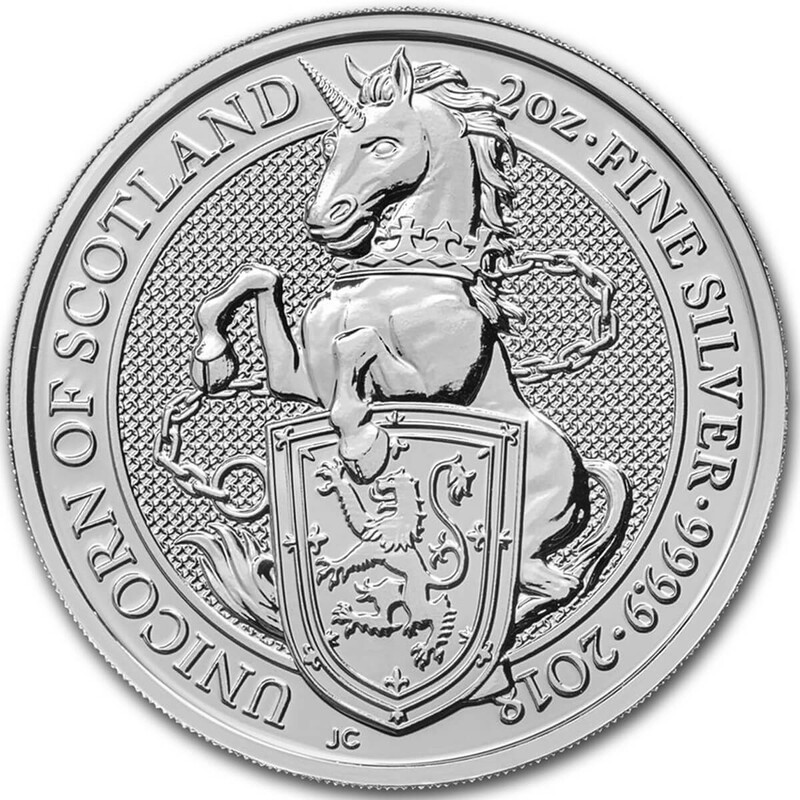 The reverse shows a majestic unicorn leaping over a shield, which was designed by Jody Clark. With a purity of .9999 Fine Silver, the coin will be IRA eligible for those who are interested.